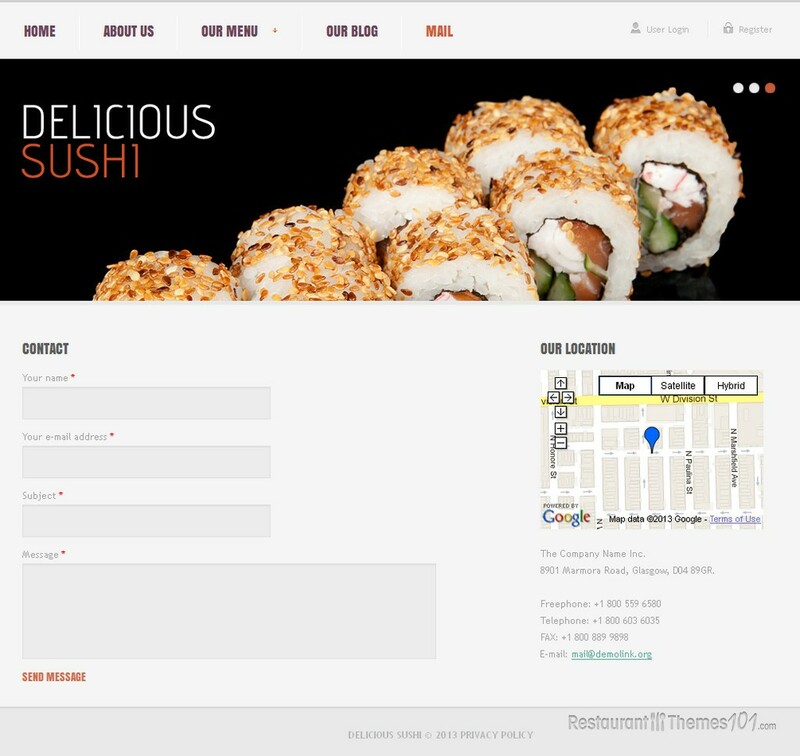 Delicious Sushi is a Drupal restaurant theme developed by Astra and presented at Template Monster. 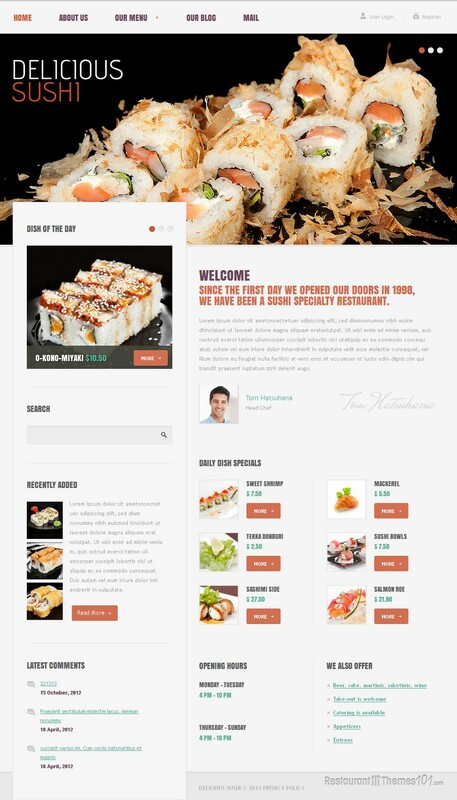 It is a theme made to fit Japanese restaurants and sushi places perfectly. This attractive theme is created with bright, clean colors that give the whole website a nice, light, exotic look. The color white prevails and it gives the layout a fresh look and feel, promising a place with healthy, exotic food. A huge, quality photo of a delicacy typical for a Japanese restaurant will attract all of your visitor’s attention and make them hungry for your sushi the instant they enter your website and it will make a great introduction for what you offer. You will be able to easily place such a photo and tease your visitor’s imagination with it. 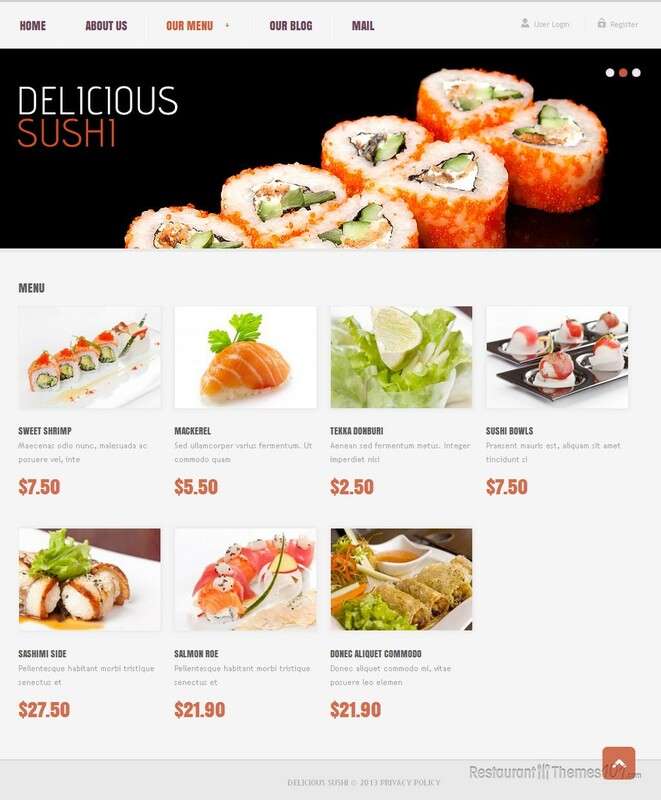 If you want a bit of a more proper and personal introduction, Delicious Sushi makes this possible too, with the option of sharing a warm, welcoming note on your homepage, along with a photo of yourself, or anything else by your choosing attached. 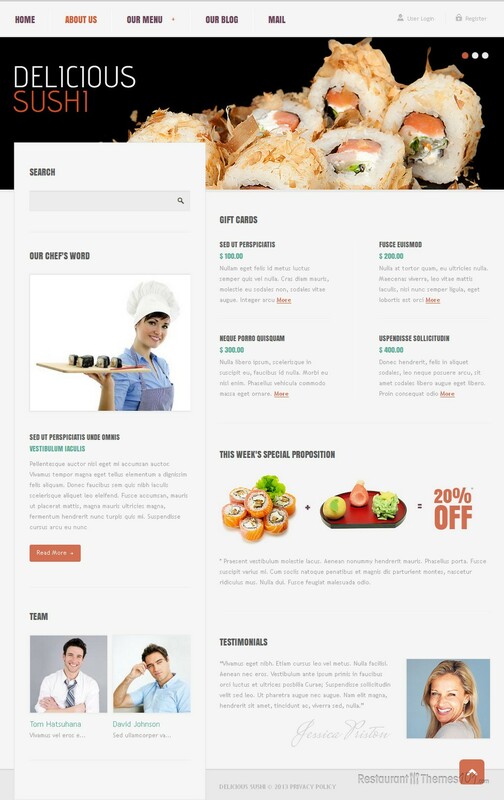 You will be able to feature various elements of your website on your homepage, such as daily specials or the special offers your restaurant provides. Photos of these delicious meals will be placed on your homepage, along with their prices, and by clicking on them your visitors will be taken to a post where you can tell them everything they need to know about the dish. Featuring any of your posts on your homepage is possible, no matter if it’s your most recent posts, latest comments, or anything else you would like to present to your readers. Display your working hours and schedule on your homepage as well, so everyone can see when your doors are opened for them – this theme makes this possible too. 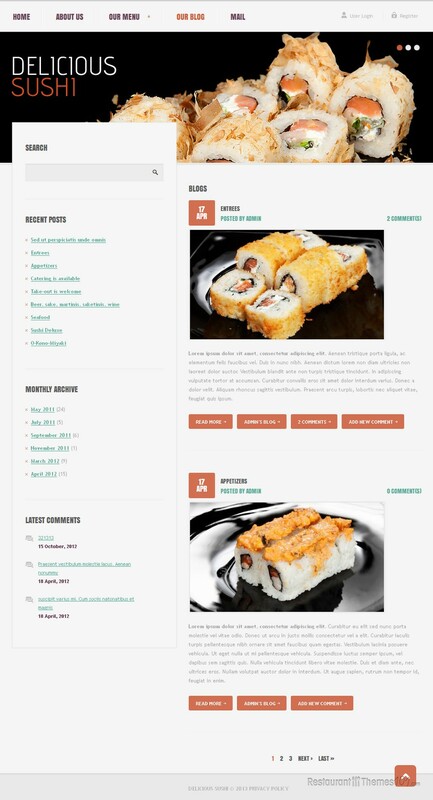 Delicious Sushi is made to be and a sushi restaurant theme for Drupal and it comes with a nice amount of documentation provided. It features a powerful admin panel which allows even non skilled users to manage the theme easily and quickly.